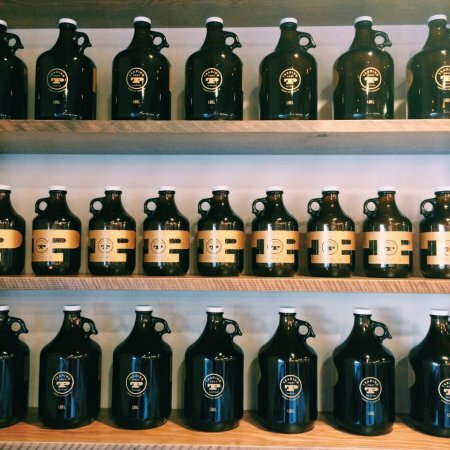 LANGLEY, BC – Trading Post Brewing has announced that it will be officially opening its doors to the public this coming weekend. Located at 20120 64th Ave. in the city of Langley, Trading Post is being launched by a team that includes co-founder and general manager Lance Verhoeff, director of brewery & culinary operations John Ohler, and brewmaster Tony Dewald, with the latter two being well-established veterans of B.C.’s brewing industry. The brewery will open on Saturday February 13th from 12:00 noon to 9:00 PM for a day of “community, celebration, and delicious craft beer”, including a variety of activities and brewery tours throughout the day. Beers to be available for samples, glasses and growler fills on opening day include 1827 Helles Lager, Derby Hop Session Lager, Owyhee Tropical Wheat Ale, Three Bears Breakfast Stout, What Cheer Brett IPA, and Capt. Cooper’s Cranberry Ale. For more details, see the event announcement on the Trading Post Brewing website.